A great workout for all ages and levels of conditioning! Workouts incorporate a balanced mix of HIIT (high intensity interval training), strength training, bodyweight exercises, and functional movement. We want to keep you guessing – each class is designed to be different and push you out of your comfort zone. Instructors focus on proper technique and form to help you maximize your workout. This Boot Camp is a highly efficient program that boosts metabolism, burns fat and strengthens muscles. Think cardio circuits, sprints, battle ropes, weight training, and core exercises. Expect some soreness after the workout, but rest assured, it will be the soreness that makes you feel like a champ! Fight Camp is Ultima’s signature high-intensity interval training boot camp, designed to shock your system and help you achieve your desired results. The focus is on safe technique and cardiovascular function, improving your overall strength and athletic ability. 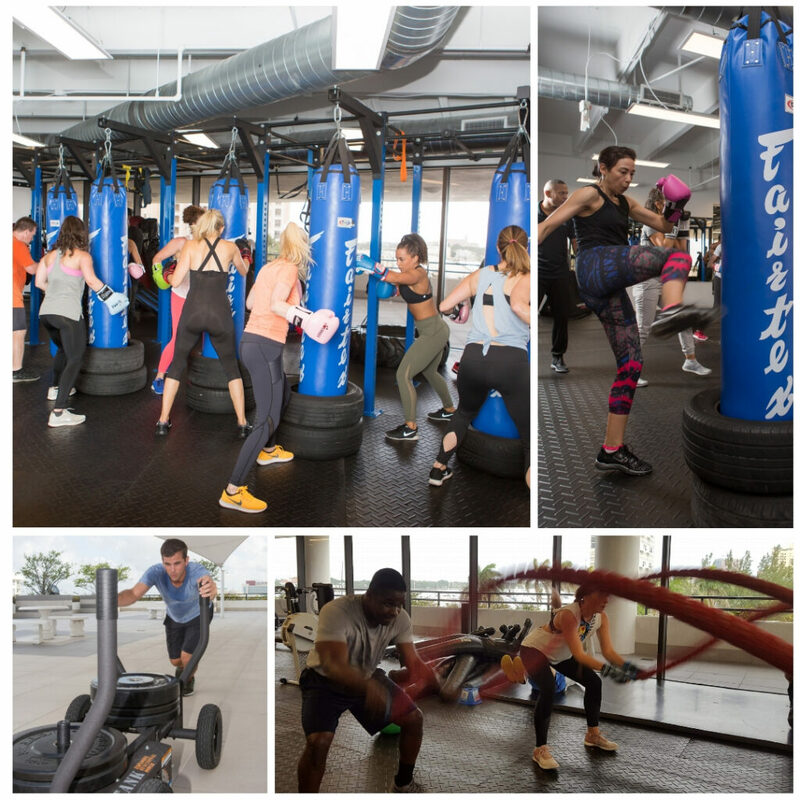 Classes include a unique combination of speed, agility, body weight exercises, and aspects of kickboxing and mixed martial arts (MMA). 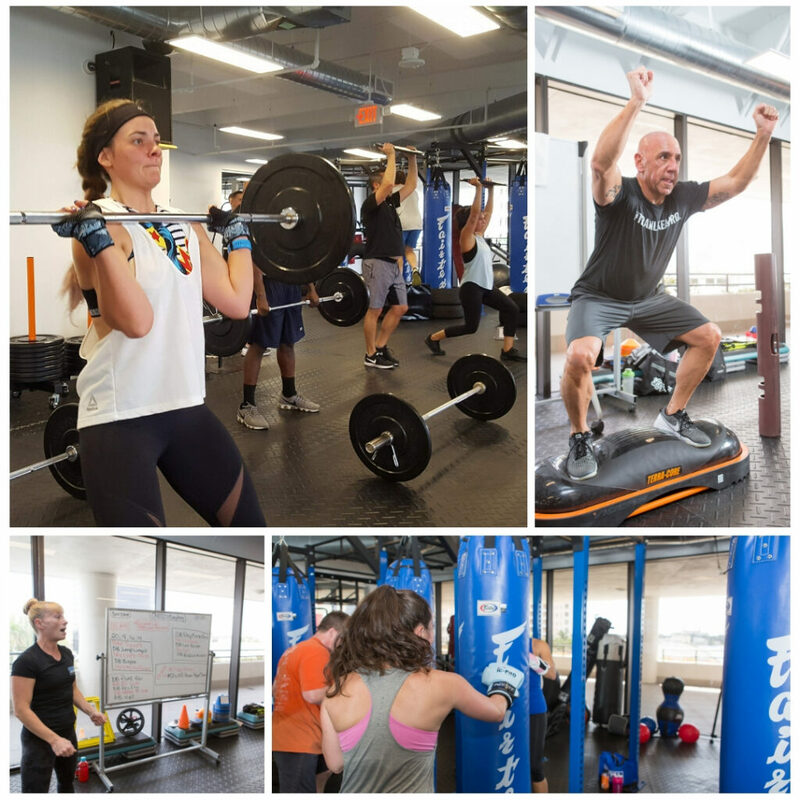 We incorporate equipment such as battle ropes, jump ropes, TRX suspension trainers, plyo-boxes, kettlebells, medicine balls, and free weights. The class finishes with boxing gloves on, as you learn proper technique for hitting the heavy bag/speed bag, and basic punching combinations. This class is a 1st Round KNOCKOUT!. This class is a great addition to any lifestyle. A fitness oriented, vinyasa fusion that combines strength, balance, and flexibility. A fast paced class develops lean muscle, facilitates weight loss along with improving functional movement patterns. Whether taking this class as a stand-alone workout, or as a way to supplement your current routine you will be increasing core strength and improving balance. By enhancing flexibility through movement, you can not only reduce your risk of injury, but facilitate recovery from pre-existing ailments. Through modification, this Power Flow Yoga class can accommodate you whether it’s your first time on the mat or you can handstand for hours.